hackenslash: Where Do You Draw The Line? Regular readers will by now - and long before now, one would hope - have grasped my purpose here. 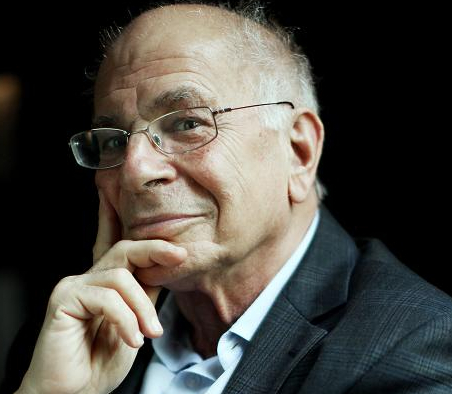 Ultimately, my aim is to see if I can't, in my own small way and with my tiny voice, aid our species in bootstrapping its way to better ways of thinking about things. We've touched on a diverse range of topics, including science, logic, epistemology, the core of philosophy, ethics, politics... let's face it, there isn't an awful lot of terrain we haven't covered in one way or another in broad terms, and one might think there's little left to do beyond the traditional dotting, crossing and punctuation. Such a conclusion would be premature, however, not least because there are always things to be learned, and paradigms to challenge. The simple fact is that we still have oodles of geography yet to be explored. But I digress, as I'm wont to do on occasion. So shoot me. Focus is the hobgoblin of narrow minds, as they say. Or maybe I just made that up. For this outing, I want to start out by trying something a little different. It's going to be difficult to achieve the desired result in all its glory due to working in a largely textual format, and it certainly isn't going to be anything like rigorous or scientific, but it should be instructive nonetheless. I've run this exercise in a one-to-one setting verbally with a few people, and the results have generally been commensurate with what appears below. I'm going to use spoilers, so that I can get as close as possible to the verbal delivery. This works best if you don't pre-empt the spoilers, only clicking on them when you've read all the text leading up to them. I ran this little exercise very briefly with my friends on Twitter and Facebook - after already having selected the spoilered images below, I should note - and the results were pretty interesting, not because they massively diverged from my expectations, but because they didn't. I asked them to conduct the exercise as described, and then to go and find the image on Google that most closely matched what they envisaged. Picture in your mind a painting of a ship. If it helps, do what the tweeps above did and go and find an image on google, selecting the one that most closely matches your vision. When you have a clear image, click on the button. I suspect that, details aside, most will have something like the image spoilered there. 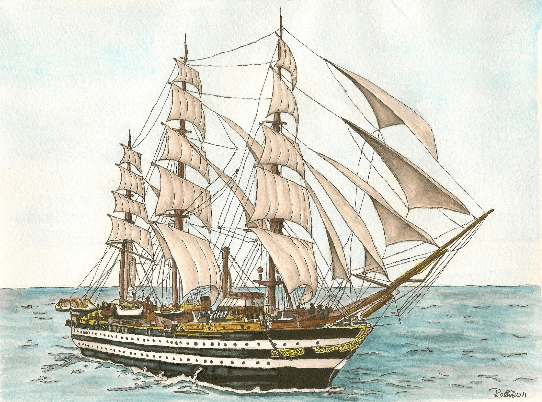 You might have pictured a modern ship with engines and funnels, or maybe with more or fewer sails, or differences in general presentation but, in most cases, this will be something along the lines of what you pictured. Some will have had radically different imaginings. Some of my Twitter cohorts certainly did. What's interesting is the trend those imaginings show, and where they came from. The tendency away from that paradigm was realised in very specific kinds of thinker, and that's where we repair to now. Two of the respondents delighted me (one of whom I'll be discussing shortly), in selecting the painting I had lined up next. It should be fairly obvious which direction I'm headed in now. The painting behind that spoiler is far and away my favourite painting ever. It's Turner's amazing Fighting Temeraire. It depicts one of the ships that had a pivotal role in the Battle of Trafalgar being tugged away to be decommissioned. Turner brought with him a style of painting that defined an entire movement. The approach is one that shows a level of expertise utterly distinct from what had gone before. Indeed, in many ways, the world wasn't ready for it, but the impressionist movement that came after him shows just how revolutionary this approach was. 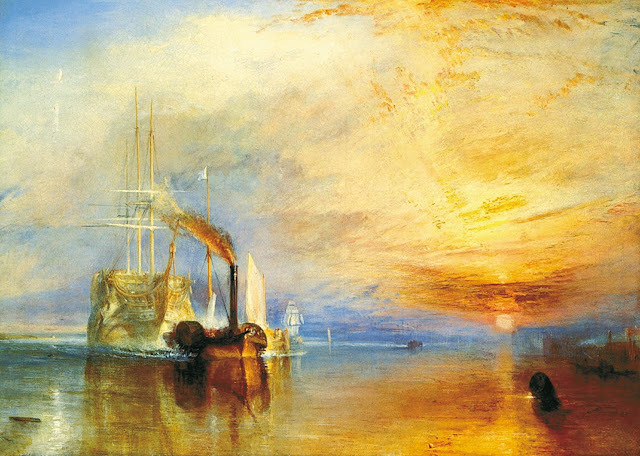 Unlike the first spoilered image above, which depicts the subject directly, Turner's approach was to try to capture the light coming off the subject. Now, I've heard people talk about Turner's work as being something less than brilliant, precisely because of the lack of direct detail. However, this amounts to little more than knowwhatIlikeism, and fails to recognise that what a painter always paints is the light. The point here is that this shows the difference that expertise can bring to a situation. In the last couple of years, there seems to be a real resistance to expertise. Of course, I have to remind myself that it isn't anything new. I know, for example, from almost twenty years countering science-denial of all stripes on the internet, that the self-proclaimed internet expert pontificates on many and diverse topics she knows bugger all about. Much of the content of this blog is dedicated to debunking the faux-expertise of people who will confidently assert that evolution violates the second law of thermodynamics, or that the fact that the horizon is the same distance in every direction proves that the planet is a giant space-pizza. We have tributes to people with no medical expertise putting the lives of children at risk because of their faith in a falsified study from the seventies. In the last couple of years, though. It's taken on a whole new complexion in the public sphere. First, the UK held a referendum - a referendum that was only called so a cretin could get re-elected - in which it rejected the expert opinions of many of the world's economists that the UK leaving the European Union was a really bad idea, even to the extent that Niggle Fromage, then head of the UK racist party, made this a campaign tagline. Then, in a stunning DIY rhinectomy of absolutely gargantuan proportions, the US elected a self-admitted serial sexual predator to the highest office in the land, an office he's repeatedly shown himself unfit to hold (frankly, I wouldn't employ the moron to make tea). The more I see the current sociopolitical situation in the world, between the stunningly incompetent moron in the White House, and the moronic wet blanket in Downing Street, the more convinced I am that not only is the amazing Turner seascape above well beyond our reach at the moment, all through lack of expertise, the first image above is probably out of our grasp. Indeed, with the level of expertise we have in politics between our two nations at the moment, I'm increasingly of the opinion that, if we survive at all, our future looks comparatively like the following. *Indeed, I heartily recommend all of Molly's writings. She writes beautifully, and covers a range of topics, including art, poetry, and medical science. Her main page can be found at The Whispering Dark.